Interesting how you have 115k and are fine but mine had 57k on and cracked. I saw an awesome yellow wrapped pre-face lift C63 on sawmill road today. So if I spring for the Arp studs can they be installed in the car or will it require pulling the motor due to head clearance? I am at 71k miles in my 2007 cls63. Paid off and don't want to part with it. Like the idea of studding in case I decide Weistec is in my future. How has been the temps so far? Running temps? For me, the same. About 207 oil and 197 coolant. Swapping your HBs won't change any temperatures. nice write up. Dibs to you on doing this. 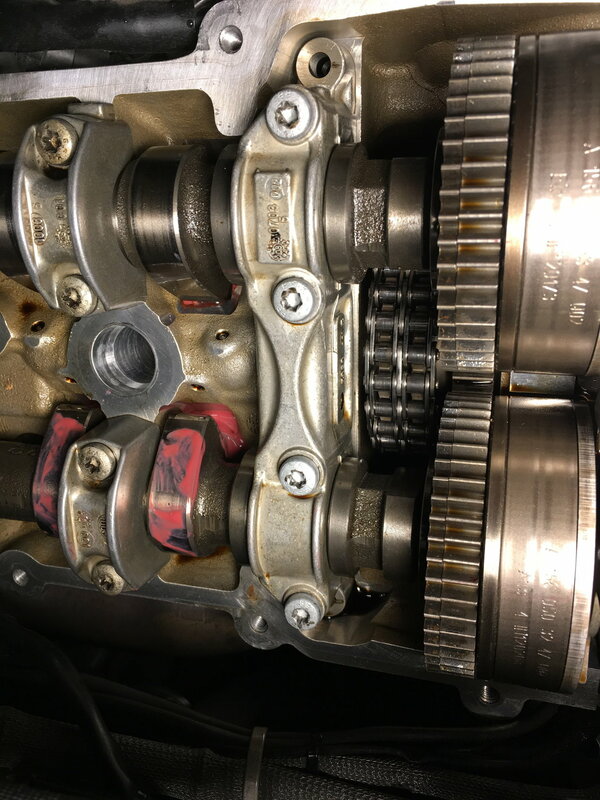 I thought the camshafts ran off a chain of their own that was connected to the part of the cylinder head lower section which in turns is run off by the crank sprocket. Is the gears a mesh design or how does that work. Didn't see you pulling anything off there when you removed the camshafts to get to them head bolts. Here's good writeup on how cam timing works in the M156. I was reading this the other day. In the end of the procedure the Star is required and puts the adjusters through a learning procedure. Maybe this is why you got the code. huh. Interesting. Do you know, mechanically, what goes on during this process? The variable cam is actuated via oil pressure, from a solenoid. The position of the camshaft sprocket and the angle of the cam as actuated by the solenoid. Now the oil pressure varies so, as the solenoid pulses oil into the actuator, there could be errors of angle. So then the procedure holds the rpm steady and therefore the pressure steady and possibly puts the actuator through a routine and gets reports from the angle sensor. A calibration. Now why I meant to say is that my old w124 was an early throttle by wire car, with abs and traction control. After I bought it, I tried to rev it from under the hood, to listen for noises, using the cable for cruise control. The minute I did this, I got an abs and traction control error. So these three, throttle abs and traction are tied together. With our cars the cam angle could be tied too. Is it 604? I think its ONLY throttle cut....no braking involved. My understanding is that if it is slipping enough, brake will be applied. Is that not what they are doing when they use the "electronic LSD" they say is used on the cars without the actual LSD? I mean, thats how the nannies are helping idjits keep 500hp shiny side up and without the back tires going up in smoke. I'm almost 100% certain that braking is involved with TC. I was having some issues with my rear brake pads getting eaten up on track days back when I was still running with TC on. I've had my e63 for about a year now and totally love it. 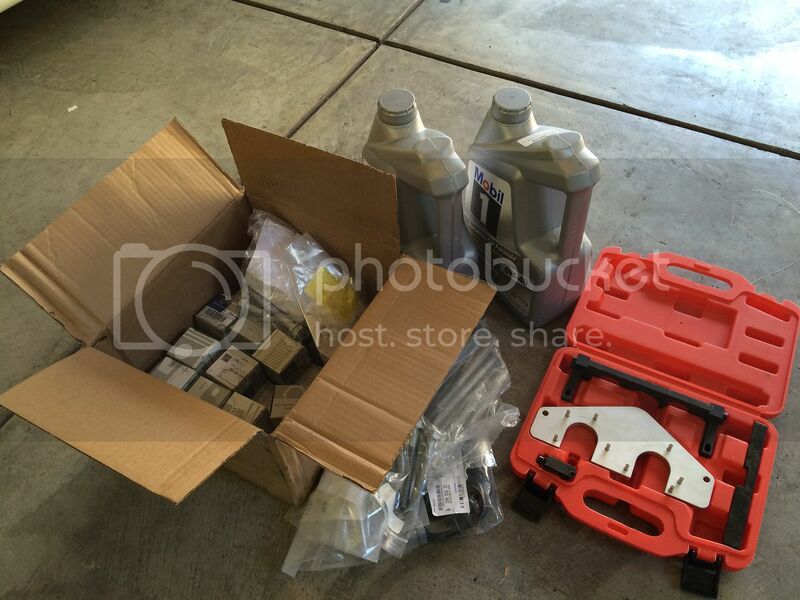 Just ordered the tappets, head bolts, and everything else for my preventive head bolt and lifter replacement job. These threads have been remarkably helpful and informative to get this done on my own. Will take some pictures of my experience and post the inevitable issues and questions I get as well. 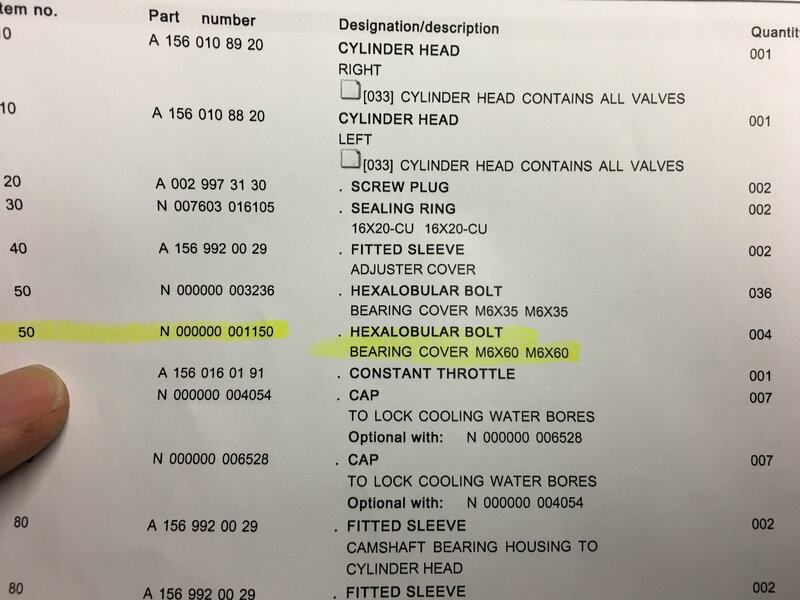 Where exactly are the 0000 0000 1150 Timing Case Bolts used? I just completed the head bolts/tappets job on the right bank. 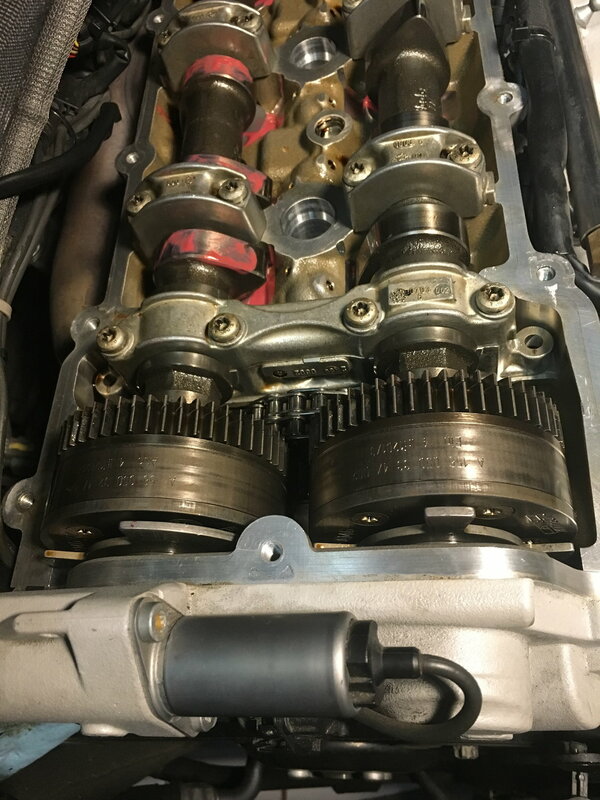 I swapped the headbolts and lifters, reattached the camshafts, cam caps, cam adjuster, and cover. 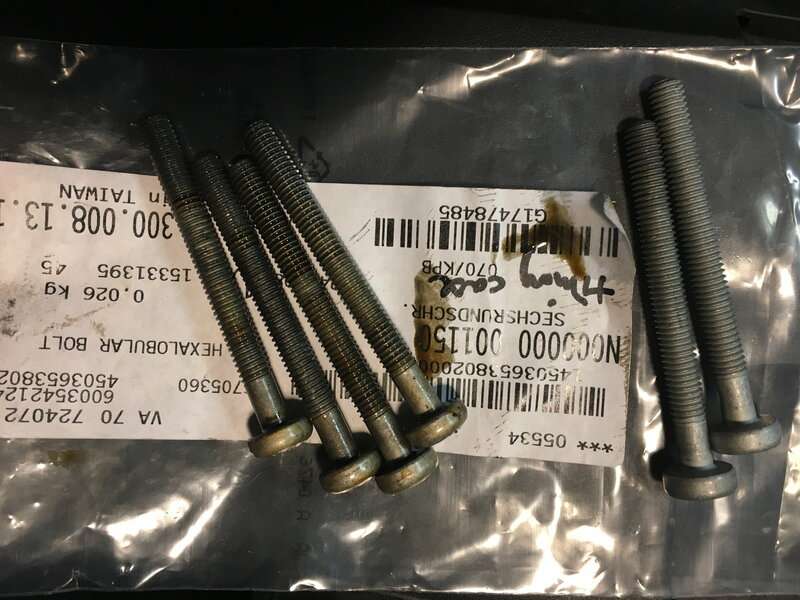 I assumed the Timing Case Bolts replaced the cam adjuster cover screws, but that takes 5 + ground, and I notice you ordered 8 (4/side). Thanks in advance and for this super helpful thread. Updated part list of everything I've ordered should anyone else want to take this on. As Merc63 has mentioned in his DIY threads, this is not a DIY kinda thing. You have to a) be mechanically inclined, and b) have done tons of tons of reading on the subject. Best prices on OE parts are found here. Hmm. I honestly don't know. It could have been a part that I never ended up using. Do you mind posting a picture of said bolt? Maybe that'll jog my memory. I have no clue actually. I think I ended up not using these. Just reuse the adjuster cover bolts. Wasn't there 5 per side? 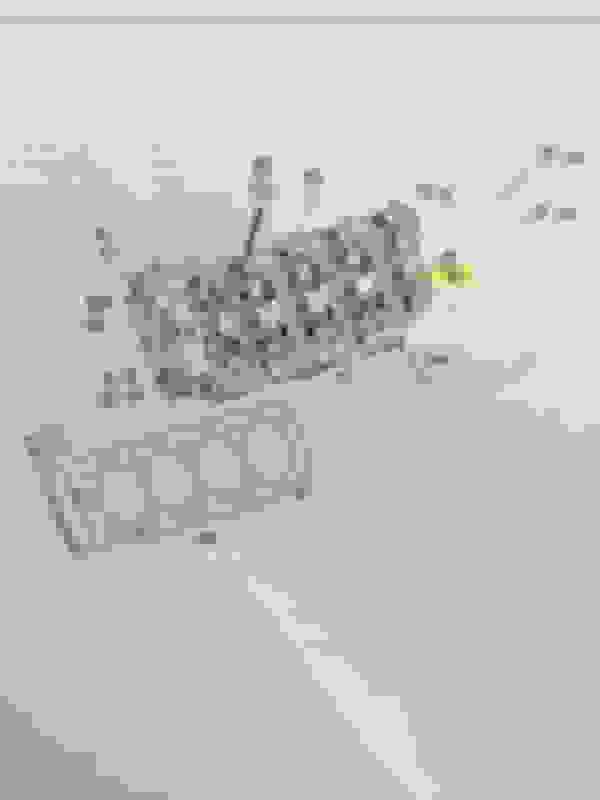 I dropped by my local AD parts dept today (to discuss a snapped cam cap bolt... more on that later). 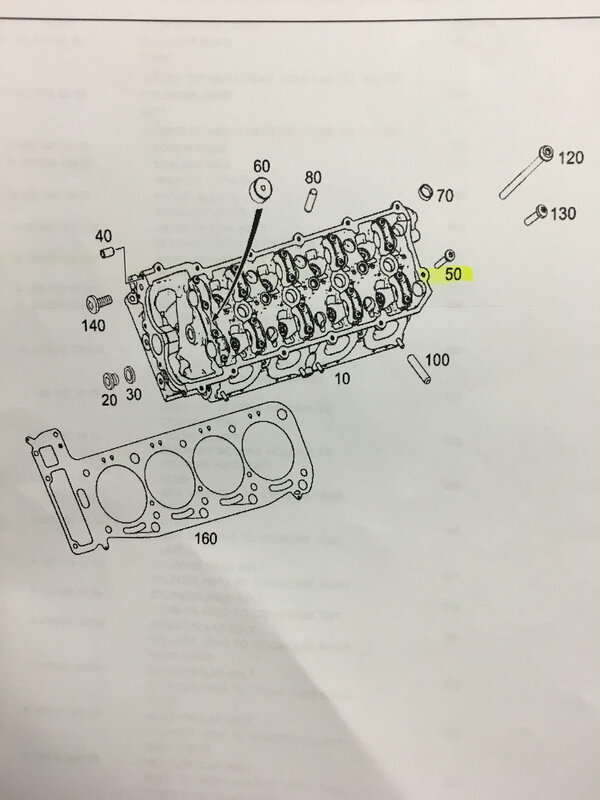 He gave me a parts printout for the heads. It turns out these are replacement bolts for the camshaft bridge. Smoke em if you got em I say, (but mostly wasn't sure if the new screws superseded the original ones like for the actuator bolts) so I replaced them since they came out as part of the install anyway. There are 8 in the car, and I ordered 8, how tidy is that. 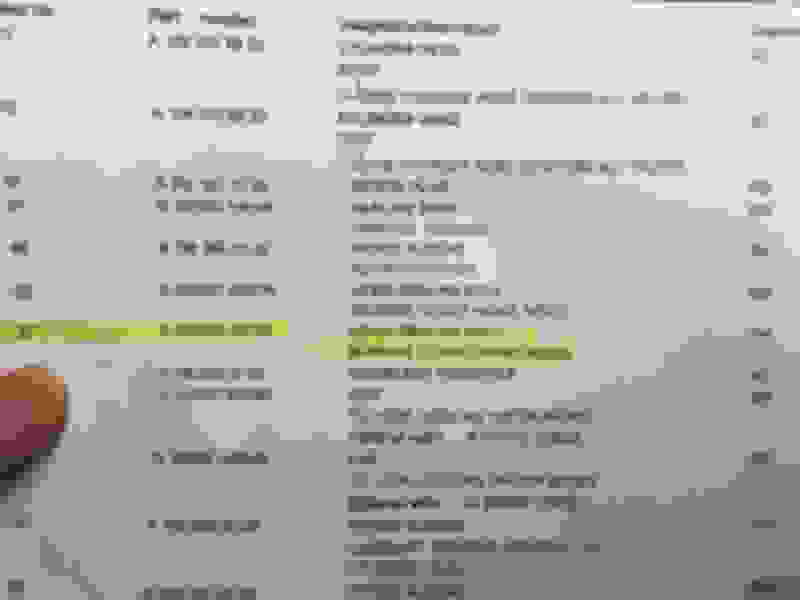 Ah AMG3.2 just had the wrong description. They weren't TTY bolts, why didn't you just return them? Ah! Looks like I did indeed have the wrong description. Like Jasonoff said, not TTY bolts so replacing them is whatevs. Glad it's going smoothly for you so far. Another question - the stock head bolts had some sort of white paste/grease/something applied to the threads. The Weistec studs call for moly. Any idea if anything is needed for the updated bolts? Did you apply anything to the threads? I'm applying some Permatex high temp gasket maker just under the heads of the bolts to seal the top. I installed the bolts with the threads completely dry, but with some red Permatex gasket maker under the heads as well.